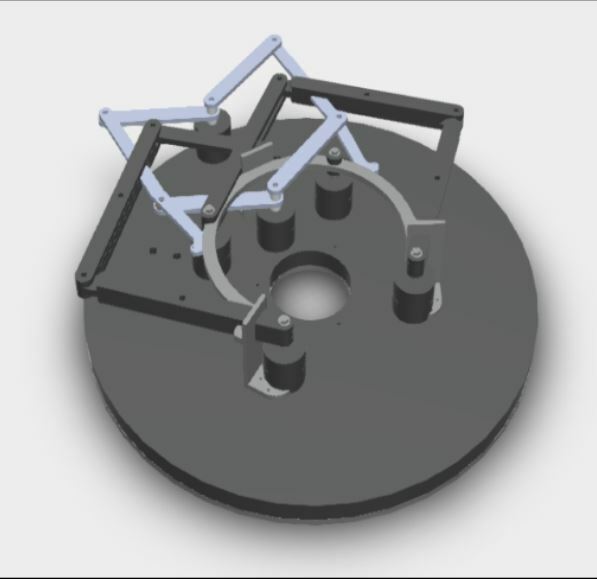 Included are 2 DXF files for each type of linkage system we are currently using. These are for producing sleds with accuratly placed holes for the systems. They also have 1/8" holes for the Rigid R2200 base screws. They will need to be drilled out to the correct diameter. Also included are step files of the baseline sled I am using for triangular kinematic tests, and step files of each of the linkage systems. I have drawn up Bar's ring system as well, but I do not have a version of the system to verify that my dimensions are correct. I will add it once I am more certain that my model is correct.